We always try to persuade our guests to step out beyond the ordinary and do something they may not even have planned to do while in Prague. Not that it's mandatory. But it could be definitely fun, and this time of the year offers a great opportunity to do something that probably was not on your list, and is food related: picking mushrooms in Prague. As we never forget to highlight during our tours, Czechs (along with the Germans and perhaps Slovaks) must be the world champions of mushroom picking. This is definitely a cultural phenomenon not shared by all the European cultures: the Spanish cringe at the idea of pickled mushrooms, a delicacy here in the Czech Republic, and mushroom picking is illegal in the Netherlands (and we're not talking about "those" mushrooms). Mushroom picking turns into a craze especially during the fall season, with popular daily newspapers dedicating multipage inserts to the best mushrooms, the best locations where to find them, and the best recipes how to cook them. The only year when people did not pick mushrooms was 1986, the year of the Chernobyl disaster: the Communist government downplaying the effects of the blast and withholding information from the people, the myth was that the mushrooms were full of radioactivity from the acid rains that allegedly followed the tragedy. Nevertheless, people do love picking mushrooms. Not really an adrenaline-packed activity, we would liken mushroom picking to a blend of fishing and golfing: you get to walk through beautiful surroundings while waiting for the perfect "catch". The best time to go is early in the morning, especially after a night rain. And preferably on a working day to avoid the crowds of other mushroom pickers. 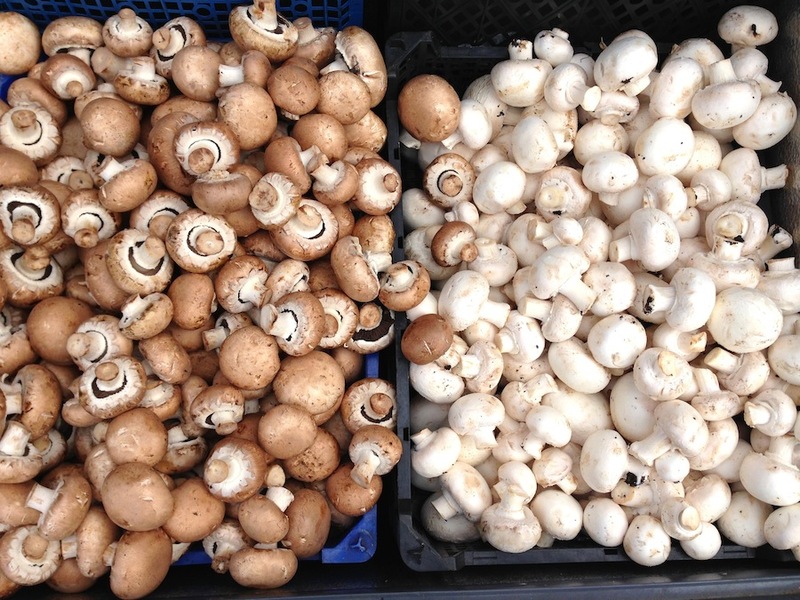 If you have a morning to spare and do something really local and different, we think mushroom picking is the activity for you. "How do I know which mushrooms to pick? My travel insurance does not cover poisoning by mushrooms!" We hear you ask. Don't worry: if you are not sure which mushrooms to pick, you can visit the "Mushroom Advice Centre" in the centre of Prague, run by the Czech Mycological Society, a publicly-funded organization, and their experts will sort the basket for you on the spot. Just remember: never store the mushrooms in a plastic bag, and opt for ventilated storage instead. Now, there are several places where the locals go to pick mushrooms, but in the interest of simplicity and convenience, we will just mention one, which has already been tested by several of our guests with good results: the Kunraticky les forest. Getting there is easy: just hop on the subway and get to the Roztyly subway stop in the Haje direction on the red "C" line. Walk out and you'll see a dense forest on your right. Getting there takes less than 30 minutes from the centre. The forest is well organized and includes well-marked, color-coded routes that will lead you back to the Roztyly or Chodov subway stops. Other points of interest in the forest include a small zoo of local forest animals and - if you venture far enough into the Kunratice part of the town that feels more like a village - a nice branch of the Lokal pubs (called U Zavadilu) that offers great Czech dishes and beer (and is located near a bus stop that will take you back to the subway stop). Don't have a full morning to spare? No problem. You can still get a taste of how the Czech cuisine uses mushrooms (which we think should be the cornerstone of vegetarian, or any, Czech cooking) in some of our favorite restaurants in Prague, although, sadly, not many restaurants have made full use of what we think should be the king of autumn seasonal menus here. Čestr offers a lovely mushroom sauce with their array of steaks and a mushroom salad, although it is not available every day (and they also make a wonderful truffle sauce to go with steaks and a roast chicken with truffle stuffing if you think truffles belong to the mushroom family). If you want to taste a great Kulajda, a slightly sour creamy potato soup with dill mushrooms, head over to Essensia in the Mandarin Oriental hotel, although be prepared to spend some serious money there. For a cheaper, but still delicious, version, visit Café Imperial. Finally, Mlynec seems to be making great use of mushrooms in their revamped Czech-inspired tasting menu (although we have not been there yet after they reopened the restaurant).